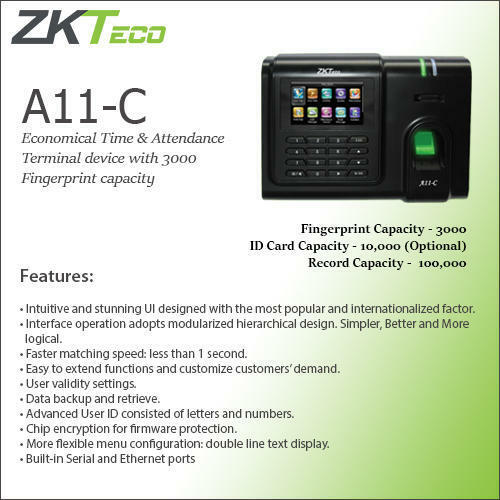 • Standard access control features such as Time zone, Holiday, A C Group, Unlock combination etc. We, Anglo Swiss Watch Co., Kolkata established in 1908, are Retailer and Trader of CCTV Surveillance High Definition Camera (AHD, CVI, IP) and Triband Hybrid Video Recorder, Network Video Recorder, Time Attendance with Access Control System, Hotel Lock, Canteen Management, Turnstile Gate, Multi door access control system, Face, Biometric, RFID based Time attendance with access control system and Mechanical Time Attendance System in East India that is Kolkata, West Bengal, Bihar, Jharkhand, Orissa, Assam, Darjeeling, Sikkim, Meghalaya, Tripura, Nagaland. Our organization pays utmost importance to the quality of our range of products and makes sure that we deliver only high performing range of products to our clients. With a precision-engineered range of products, we are catering to the requirements of Commercial & Industrial Sector, Hotel, Schools, manufacturing Units, Banks, Government offices, Shopping Malls, IT Hub, Railway Stations as well as Airports. Anglo Swiss Watch Co. is the pioneer company to have introduced time recording concept in India. We manufacture both mechanical and electronic Time Recorders till date. Our time recorders were the earliest tools in time attendance systems management and access control systems. Clock card machine or punch clock or time recorder, is a mechanical (or electronic) time piece used to assist in tracking the hours an employee of a company has worked, which allows a time recorder to have an official record of the hours an employee worked to calculate and pay an employee. Our mentor, 'Mr. Ahmed Sualeh', holds wide industry experience and knowledge in this domain. Right from the procurement of products to marketing the same, he has been a guiding factor in every sphere of business. His in-depth expertise and excellent administration skills have enabled us to make a mark for ourselves in this highly competitive industry.